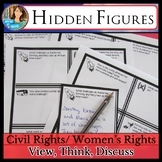 Feminism / Women's Rights movement of the 1950s-70s. 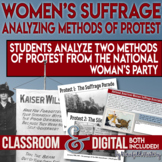 Thirteen primary source documents (text and photographs) with guiding questions, leading up to a DBQ prompt that can be completed in-class or at home. 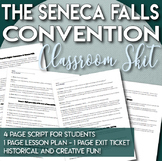 An answer key for the guided questions is provided, and a rubric is included for easy grading. Reading in the content area of social studies lesson entitled "Women Who Fought for the Right to Vote." 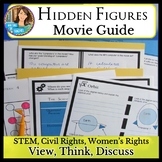 This focuses on three suffragists: Elizabeth Cady Stanton, Carrie Chapman Catt, and Lucretia Mott. It starts by showing the royal purple three cent stamp these women were pictured on in 1948. 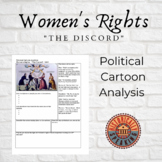 This activity includes background information on the women's rights movement, and a list of what women could not do in 1848. 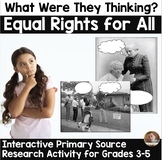 Also included are primary sources and inquiry questions. Perfect to get a sense for WHY women in the 1800's wanted reform! 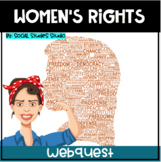 Women's Rights & Seneca Falls Convention Webquest WITH KEY! 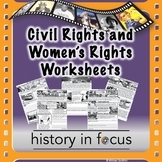 A printable worksheet or assessment that allows students to identify a picture of either a civil or women's rights leader and to explain their major contributions. 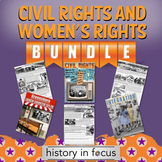 Includes Rosa Parks, Susan B. Anthony, Elizabeth Cady Stanton, Martin Luther King, Jr., Little Rock Nine, and Thurgood Marshall.